Welcome to my piano studio. I love teaching children and adults to play the piano. I believe that your piano lesson experience can be enjoyable, rewarding, fun, and stress-free. I teach 30 and 45 minute weekly private piano lessons in my home studio to students ages 5 through adult. Whether you are brave or nervous, beginner or advanced, in my studio, you will learn at your own pace. I use active programs for young children, which combine beginning piano skills with off-the-bench activities. Older students will use various method books (and iPad) as well as music they choose in styles of music they want to play. New students: sign up for a new-student introductory package of four 30-minute lessons for $108. 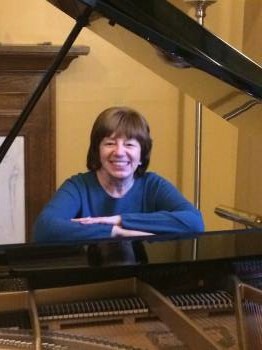 Diana Saltanovitz Piano Studio is in the Hawarden Hills area of Riverside, California. Please contact me for more information about lessons. Thanks!